Whether it’s a special treat to celebrate a holiday, anniversary or birthday, or a gesture of thankfulness at any time of year, a romantic beach holiday is a great way to spend time together and to show your loved one how much you appreciate them. There are a lot of great choices for a holiday like this, but here are two of our favourites. A short flight away lies the beautiful paradise of the Greek Islands, clean waves lapping up on white sand, and fabulous resorts on, by, or overlooking the water. The Ikos Dassia Corfu is an excellent choice of resort. The style is modern and luxurious but incorporates that classic Greek design that sets your mood for the relaxing and friendly Mediterranean atmosphere. The delicious food is reason enough to spend some time in this beautiful place, with a wide range of top-quality choices in fine dining, delightful snacks, and world-renowned wine lists. There is a mini market too, so you can conveniently grab anything you need as you pass by. The staff are warm, helpful and very well trained to make sure your stay is trouble-free and exemplifies luxury. 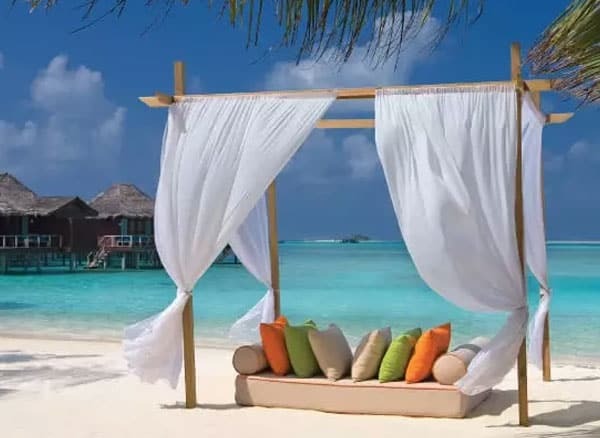 You’ll want for nothing and you can let the worries of daily life melt away in the warm rays of sunshine, or at the cool touch of high-quality sheets against your skin. Luxury doesn’t mean a lack of activity though (unless you want it to of course!). Spend time in the water at one of the swimming pools or on the private beach. There are adult-only sections too, so if you’d like some time away from the happy noise of children, they have that too. There are organised sports activities like volleyball, mini-football, paddling, SCUBA and more. Join a yoga group, keep up with your Pilates or Zumba, or try sailing… and this is just a sample of the many options available to the active guest. Fan the feelings of fun and romance by seeing a theatrical performance, a musical, or some live music. You can catch a movie or meet new friends at parties too. We love it… Stay here in April 2019 for one week, from £1054pp on an All-Inclusive basis, including flights. If you head east instead, out into the Indian Ocean, you’ll find the twenty-six beautiful, ring-shaped atolls of the Maldives. Averaging almost thirty degrees throughout February, the Maldives are sure to banish the drafts and drizzles of home from both of you – and may well keep them out for the rest of the cold season. Consider a stay at a place like Anantara Veli, an adult-only resort, on its own island, featuring rooms on stilts out in the water itself. This isn’t roughing it though, the place specialises in romance and is a top choice for discerning honeymooners. Every view is a great one, with the ocean on three sides and the beautiful swaying palms and beach on the other. You can soak in your hot tub with the gentle waves lapping the pillars below, warm breeze in your hair and cool drinks close at hand. Sunsets which bathe your room in natural, romantic lighting, and you can walk, straight from your room, down a staircase and into the shallow, warm waters of the Indian Ocean, the sensation of your toes in the sand communicating something that words can’t describe. There are lounge chairs on your deck and a table for intimate dinners in the open air. Your bathroom is equipped with blinds that lift up to reveal a glass wall, bringing the breath-taking view to your morning shower or candle-lit bath. Enjoy this place in solitude, or share fine meals in one of the beachside restaurants before retreating to your room. Whichever combination suits your mood best, and whichever resort you choose, you will love and value your time together in the Maldives. We love it… Stay here in April 2019 for one week, from £2264pp on a Bed & Breakfast basis, including flights. Too often we take our loved ones for granted, and our mutual reliance and partnership goes without a proper token of gratitude and appreciation. A romantic beach holiday isn’t the only way to show someone how happy you are to share your life with them – but it’s a pretty good one. 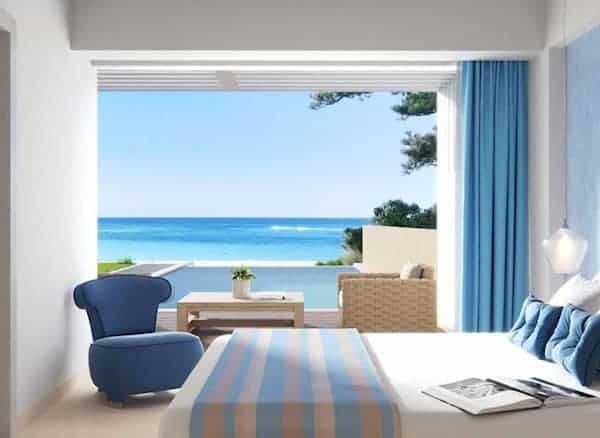 Anyone of the team can talk you through the best choices for your romantic beach holiday, and help you to find the place that best suits your tastes and budget. There are wonderful options in a wide variety of locations and resorts. Take advantage of your hard-earned holiday, leave the grey winter behind for a few days, and drop a ray of sunshine into your loved one’s life – and your own – with one of these excellent destinations.